We are now going to talk about cropping. In a way, it’s similar to clipping, except it’s so much more useful. 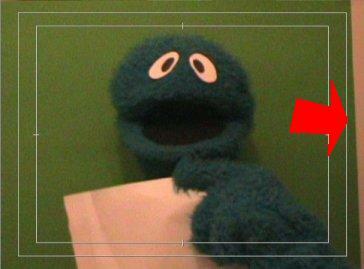 In last week’s editing trick about clipping, I mentioned that you can clip out the stuff on the edge that you don’t want people to see, such as a puppeteer’s hands. The result would be a letterbox kind of effect, and it works well for Episode 1: Making a Podcast because it’s only one shot throughout. But, what if you have a few different videos that you are going to cut together (like in Episode 2: iBottle), but they each have different edges you need to clip out? It would look really dumb to have one video footage missing the top, and then three seconds later, another video footage that’s missing the right edge. This is when cropping become very useful because you can hide that fact that some parts of the original footages are missing. No weird letterbox-ness here! Now let’s talk about how to get this done (in Adobe Premiere Pro, that is, since that’s what I use to edit these videos). 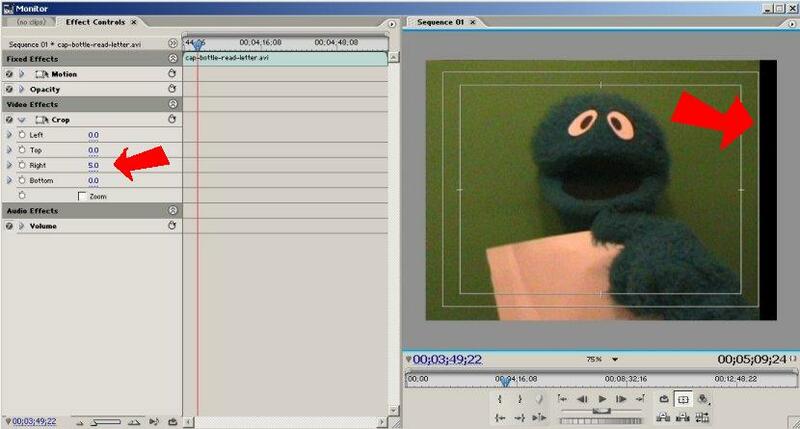 First, this is the footage we want to fix. Notice that the green backdrop is not covering the right edge and we want that gone so the whole background just look green. 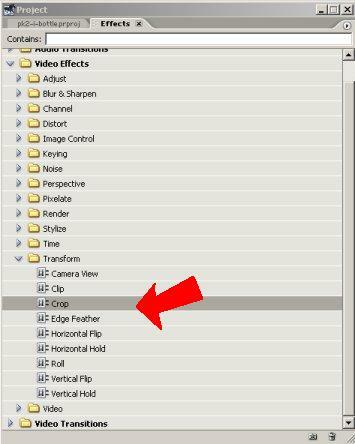 First, under Video Effects => Transform, find Crop. Drag it into the Effects Controls window. Now we want to tell the program which part should be gone. In this case, we want the right-most several pixels to be gone. So under Crop, find the property Crop Right and set it to a value big enough to cover up what you don’t want to see. In this case, it’s 5 pixels. You can see that the non-green part on the right edge is now gone. But wait, how is this different from clipping? The difference is you have this option called Zoom. Now go ahead and click on it. And… the program magically stretched the remaining image horizontally so it covers up the whole visible area. Now, doesn’t that stretch the image and make the character look “fatter”? Well, it does, if you compare the third and fourth pictures carefully. However, this is very subtle and I doubt that anyone would’ve caught it. In fact, I probably wouldn’t have noticed it if I weren’t the editor myself. 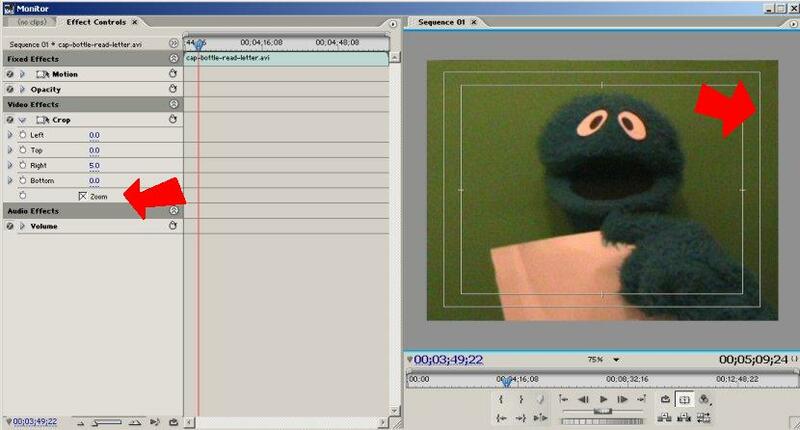 That’s one editing trick that I’d probably use over and over every time I have a bad footage. Of course, the best way to have good footage is still to be careful when you are filming, but if you are already done filming, this is a very useful way to avoid shooting things over again when the video footage is mostly good and you just have a little complaints about a tiny bit of pixels on the edge. you really are amazing, kelvin. *hugs* amazing. Hannah, let’s catch up sometime.